I've never had a very good relationship with self tanners; truth be told, I find them hard to use, they always smell funny, and I can never avoid the age old orange knees/ankles/wrists problem. Maybe I've just been using the wrong ones, or applying them with too heavy a hand; I used to wear fake tan quite regularly when I was younger but because I am quite pale I did struggle to get a natural look, which seems like a ridiculous thing to say when you are faking your way to a baked skin tone, but if a self tan can actually give the impression that your tan could have come from the sun, then that's the one I'm after. I definitely don't want to look orange or mahogany, which definitely seem to be the standard outcomes from most fake tans! Madame La La tan is different. It comes in two colourways, Light and Regular, and is a 'DD' tanner; which, for the uninitiated, means 'Dynamic Do-all' and it applies to give an instant shot of colour which deepens over three hours. To start with this is better than other tans I've tried in the past which apply invisible; you think you've got them spot on and then you wake up the next morning with a nice streak on the back of your arm from a bit you've missed or lovely orange hands. From the outset, you can apply directly to where you want the colour, with ease. 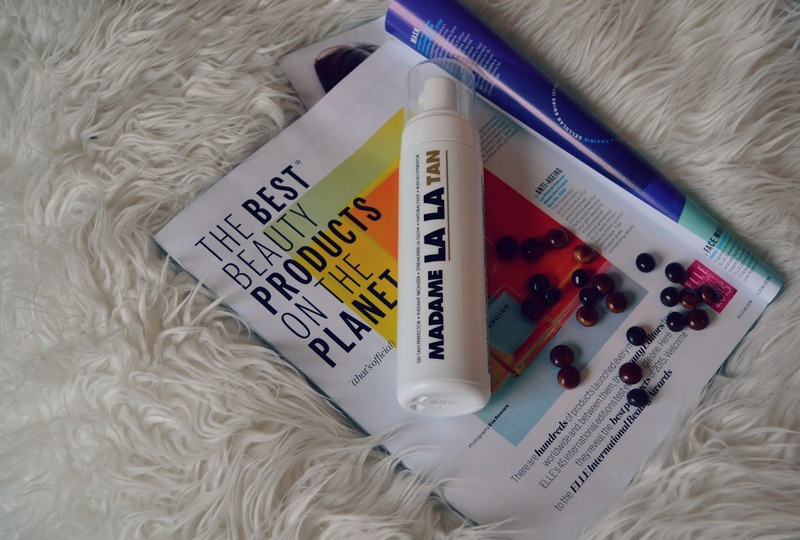 Madame La La is also a mousse formula, which makes the colour much more buildable and the application a lot less hassle; it is non greasy, streak free and fast absorbing so you can smooth it on and not have to flap about for ages waiting for it to dry before you get dressed! Like the Ren skincare BB cream I posted about here, this tan also contains skin adaptive technology which means that it delivers a natural finish that works in harmony with your own skin tone to ensure there are no tide marks or colours too dark or patchy for your look. It contains coco water, aloe, green tea and vitamin E which are all hydrating and skin kind and also means the tan smells delicious; no dodgy biscuit scents here! You can really smell the coconut and aloe, and it is refreshing to find a tanning product that has addressed this commonly disliked issue. The tan develops three hours after application and lasts for 10 days, which makes this a brilliant tanner to use before a holiday if you want to set your colour off or even for an event or a party if you'd like a really natural look. You could tan a few days before and then you would have a really natural looking colour, without the stress of having to do it on the day! You can buy Madame La La via their website here. The 200ml size costs £36.